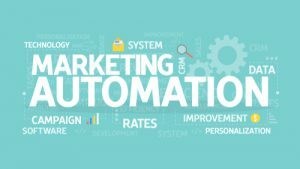 Can I Really Automate My Marketing? Marketing that runs on autopilot might sound like a pipe dream, but it’s not totally unrealistic. With planning, some essential marketing processes can be set up to bring you leads while freeing up your time. Blog posting – A consistent publishing schedule is a big part of what gets your blog ranking in the search engines where your would-be clients can find it. Most blogging software lets you set up multiple posts and schedule each to be published later automatically. Email marketing – Email drip campaigns let you nurture your relationships with prospects and move them down your sales funnel without having to write new emails every week. They’re ideal for staying in touch through the long buying cycles typical in the construction industry. Social media posting – Social media management tools let you set up posts to be published on multiple platforms days or even weeks in advance. Make sure each post is correctly formatted for each platform and remember to interact with your audience in real time, too. Referral marketing – Because construction is largely a referral-based industry, it makes sense to let modern technology help out here. With event-triggered emails, you can automatically send your clients a referral request at key moments, such as after they sign a contract or when their project is complete. Analytics – Digital marketing analytics tools integrate with your website, email, and social media profiles to collect and compile data on your campaigns so you can see your results at a glance. To really make marketing automation work for you, create an editorial calendar and produce your content in batches. If you want to promote your retail store construction services in the coming month, you might write four blog posts on different aspects of retail construction, such as floor plans and environmentally friendly materials. From those posts, you can pull related tips and images that showcase your retail projects for social media. Load everything into your automation tools and it will go out on schedule all month. Previous Previous post: What is Social Listening and Who Should Be Doing It?